The Durban Music School has recently acquired a beautiful organ, thanks to the generosity of an organist and music entrepreneur from the United Kingdom, John Foreman, director of Music Monde. Foreman is no stranger to South Africa, and now regards Durban as being his second home. On his first visit to South Africa, he met Durban singer Pinkie Mtshali and composer and pianist Melvin Peters, and their association has yielded the implementation of several new ideas. Foreman donated a keyboard to the Durban Music School which was highly welcomed by the institution. Both Foreman and Peters share a deep passion and love for serious organ music, a genre which sadly does not attract much support from the present generation. Peters is currently the organist and choirmaster at St Paul’s Church, a position he has held for the past 14 years. 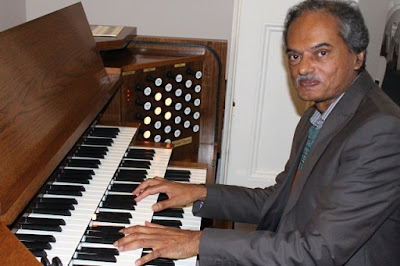 Foreman is a visiting organist to St Paul’s and being an experienced musician, has shared his knowledge and expertise freely with various church musicians. Foreman’s musical vision for the city of Durban involves empowering young people to develop an interest in learning to play the organ. In this regard, he felt that potential students should be afforded the opportunity to study this instrument formally. In order to expedite this process, he purchased an organ which was thereafter shipped to Durban and is now housed in the chapel at the Durban Music School. It is hoped that this venue will provide a space for organ workshops and recitals going forward. At this stage, lessons will only commence in the third term, when Foreman visits Durban once more. However, students who are keen to take organ lessons are requested to make enquiries in the interim. It should also be noted that prior to learning to play the organ, students should be musically literate, in addition to being competent pianists or keyboard players. The Durban Music School is situated at 21 Diakonia Avenue, Durban.